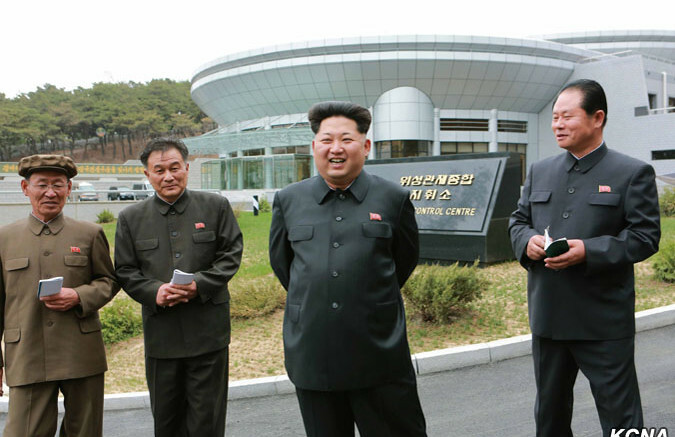 Kim Jong Un visits North Korea's General Satellite Control and Command Centre in this undated picture carried by KCNA on May 3, 2015. North Korea’s new satellite control center has been located. Thanks to TV images broadcast on state television, Curtis Melvin was quickly able to match the building with one he’d been observing under construction in central Pyongyang. He reports it’s in the Pothonggang District and estimates the size at about 570 square meters. 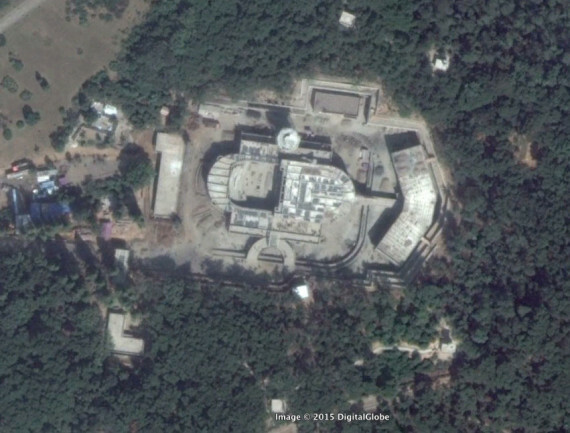 Satellite images available through Google Earth indicate construction was begun sometime between April 13 and July 3, 2014. 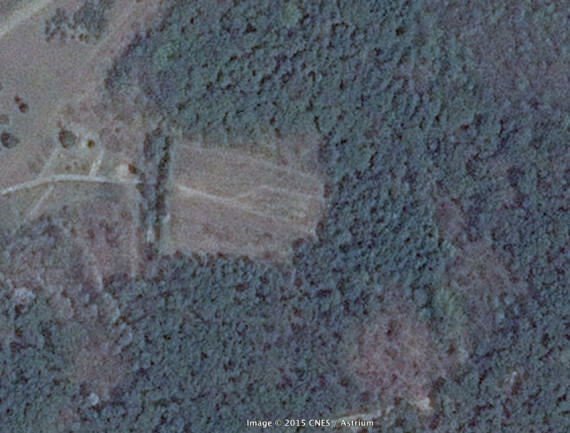 It took over a clearing that had been cut out of the surrounding forest for several years. The center has been built in a high-security area of central Pyongyang about 400 meters from a house that, according to South Korea’s Yonhap News, is believed to be one of Kim Jong Un’s residences. The TV report reveals a few more KCNA photos that never made it onto the organization’s website and I spotted this one in The Rodong Sinmun. KCNA ran a similar image taken from a slightly different angle and cropped differently. This picture shows Kim Jong Un looking at models of the three Unha rockets, Unha-1, Unha-2 and Unha-3 respectively, and above them models of the satellites the rockets were trying to put into orbit. 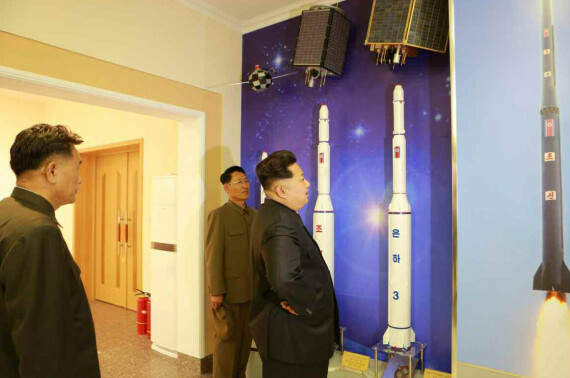 Kim Jong Un observes models of the Unha rocket series and the satellites they were launching into orbit in this image from the Rodong Sinmun on May 3, 2015. The most recent launch of the Unha-3 succeeded in placing a satellite into orbit, but the Kwangmyongsong 3-2 satellite it was carrying appears to have been dead on arrival in space. Despite several weeks of monitoring, no one ever managed to capture the transmissions it was supposedly making. The 8 minute, 20 second-long TV report includes a lot more photographs from Kim Jong Un’s visit. The center looks modern and bright, includes a large portrait of Kim Jong Il standing in front of a rocket launch pad, and has a large viewing area from which to observe what appears to be the launch control room. There don’t seem to be many computers or screens on show, but perhaps they just haven’t been set up yet. 1 Comment on "More details on Pyongyang’s new satellite center"
if/when they succeed launching communication satelite of their own–finally all investment will be paid off –? may be that’s their aim ? instead of one lCBM in open ? they believe to have quite few diesel submsrine with mini SLBM/V-1 type cruise missile in operation with their expeditionary force –substituting heavy artillery on land– at Libya –in exchange of oil ? before fall of dictator Kadafi –plan only ?